Hair fall is quite a normal phenomenon which we deal with, on an everyday basis. We find strands of hair on our pillow, in the comb and the bathroom floor. It is common to lose around a 100 strands on a daily basis and is normal as well, as the broken ones are replaced with new hair and the cycle goes on. It turns out into a problem when a large number of hair falls on a daily basis, which may require consultation from the experts. Dermaworld is one of the leading clinics, offering best hair treatment in Delhi. Lack of confidence: This is one of the most common effects of hair fall. With thinning of hair and baldness, one loses self-confidence and avoid confrontation with people, thinking they may mock him/her. This also impacts their personal life as it impacts their behaviour towards the other gender as well. Hampering of Social Life: While the people having major hair loss and baldness do not have enough confidence and are very much conscious about their looks, they end up avoiding socialising and hair fall ruins their life. Hatred towards oneself: As the hair fall alters the looks of the patients, they rather avoid looking themselves in the mirror and start disliking their overall appearance because of the looks. Limitations with hair styling: With advancing baldness, patients opt to wear wigs and camouflage their thinning hair and patches. But these options disables them from properly styling their hair and they end up frustrated with their monotonous looks. 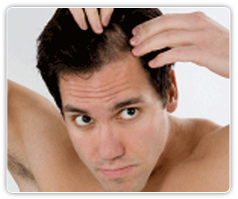 Got abnormal hair loss? Get hair fall treatment in Delhi from the best hair expert at Dermaworld Clinic.